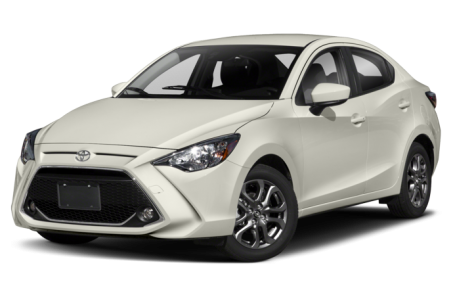 The 2019 Toyota Yaris Sedan is a subcompact four-door that was known as the Yaris iA last year. It competes with the Ford Fiesta and Nissan Versa. It is powered by a 106-hp, 1.5-liter four-cylinder engine mated to a standard six-speed manual transmission or optional six-speed automatic. Three trims are available: L, LE, and XLE.